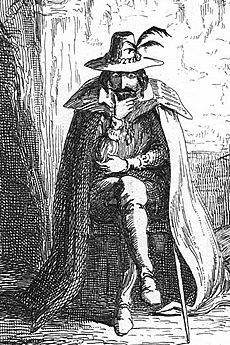 Guy Fawkes (13 April 1570 – 31 January 1606) sometimes known as Guido Fawkes, was a member of a group of Roman Catholic revolutionaries from England who planned to carry out the Gunpowder Plot. 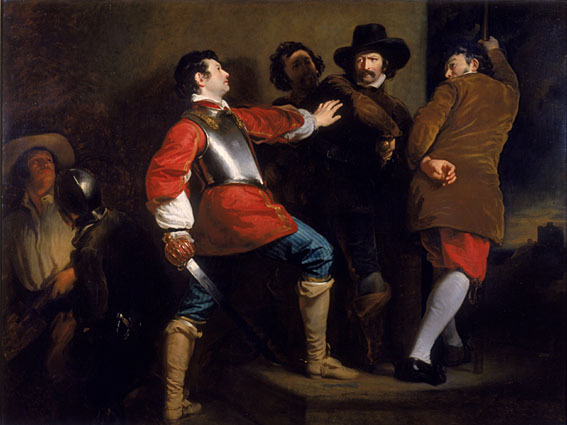 Fawkes and the other plotters planned to kill the king, James I, and replace him with a Catholic monarch. 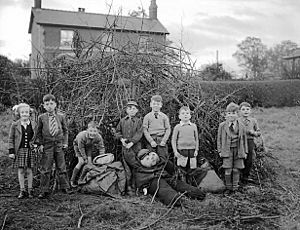 The 5th of November 1605 is remembered each year in the UK, during Guy Fawkes Night. 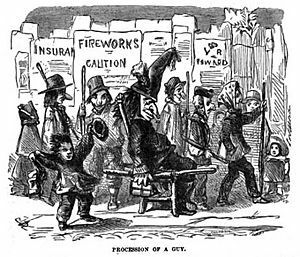 People build large bonfires, light fireworks, and burn figures of Fawkes (known as 'the guy'). Guy Fawkes Facts for Kids. Kiddle Encyclopedia.